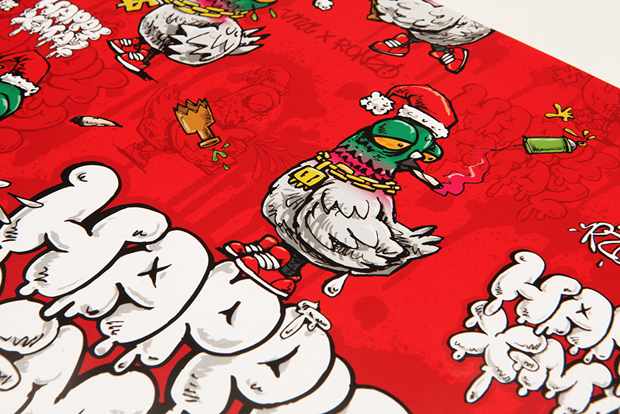 London’s favourite street art magazine VNA have teamed up with East London’s Ronzo to create this graffiti themed wrapping paper for Christmas. It’s a brilliant idea, taking what they love and applying it to the outside of Christmas gifts. Why not? 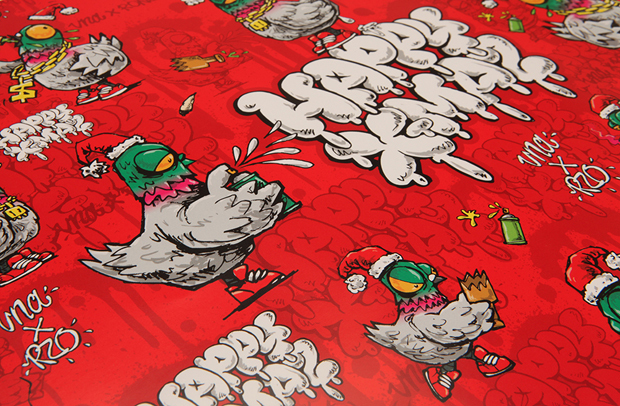 The end result is awesome, with Ronzo’s signature pigeons generally being a badass with Santa hats on, spray cans and broken bottles. Perfection. 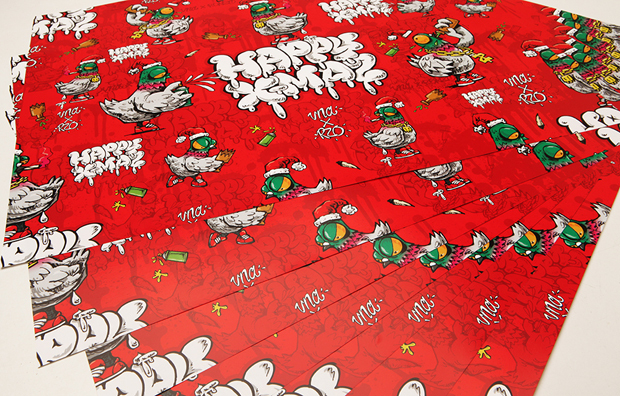 To get your hands on some of this limited edition wrapping paper, you simply have to purchase something from the VNA online store with a value of £5 or more and make sure you select it as an add-on. 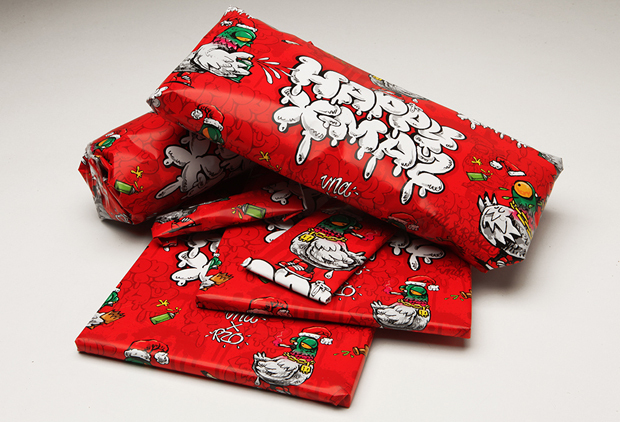 Then, your purchase will turn up wrapped, as well as a spare sheet of the wrapping paper. So, either you can buy someone a pre-wrapped gift from the store, or you can buy yourself a little gift in order to get the paper. 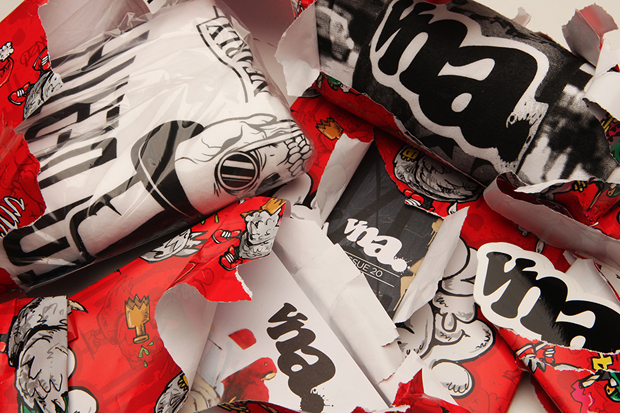 Head over to the VNA store to get some.